In order to help fight blight, I have just rifled off an e-mail to Terri Lynn Land, who still has a huge election sign on the corner of Warren and Evergreen. I let her know that she is breaking sign ordinace 28-94, and it is bad enough that we have others blighting our community. I also said we should expect that our elected officials should respect the law and not contribute to blight. First off, thank you for being proactive when it comes to Ms. Land and the campaign sign that she is legally required to remove, but didn't. Second, there are always opportunities to get involved with the W.C.O. throughout the year. Once a month, a team of W.C.O. volunteers fans out throughout the neighborhood and removes signs that have been illegally posted on public property. Also, every couple of months, their environmental taskforce does a survey of neighborhood and documents any environmental issues that they find. This includes case of illegal dumping, bulk trash that is out when it's not supposed to be, abandoned cars and so on. The results of that survey are turned over to the Neighborhood City Hall as well as to the Northwestern District of the Detroit Police Department. 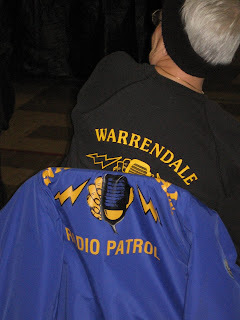 Finally, if environmental issues aren't your sort of thing - the Warrendale Radio Patrol is always looking for new volunteers to help patrol our neighborhood. They keep an eye on things as best as they're able to; serving as the eyes and ears of the Detroit Police Department. If you are interested in any of these opportunities, please shoot me an email at frank.nemecek [at] gmail.com. I'll be happy to put you in touch with the appropriate people. What exactly does the Neighborhood City Hall do, where are they located, and what are their hours? Well the Teri Lynn Land sign is down already, drove by it the other night. Not bad.